I'm sure I've mentioned before how I nearly died and went to heaven when I saw the 2012 line of dolls by Integrity Toys for the first time. 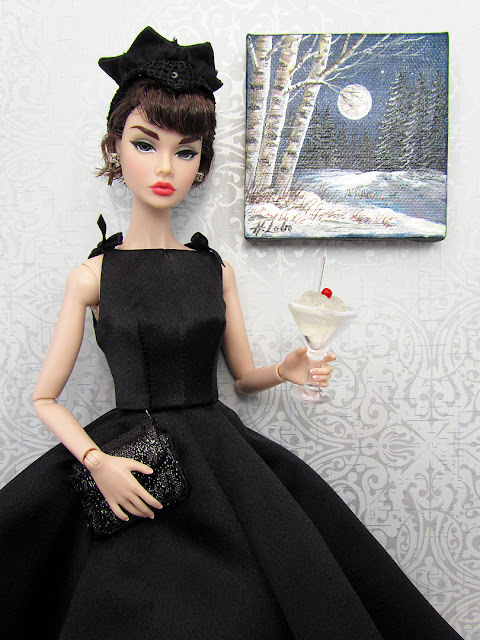 What I really meant to say was that I nearly died and went to heaven when I saw all the delicious-looking Poppy Parker dolls in the 2012 line. So far, IT has delivered in terms of quality and the almost exact likeness of the prototype dolls with the real thing. That makes me a very very happy collector. Taking my Poppy Parker Sabrina out of her box was no exception to this overflowing happiness for this hobby at the moment. She's so gorgeous and I was too excited to click, click, click the camera that I forgot to put her elbow-length black gloves on her. As it is, a sophisticated doll like Poppy deserves only the best, which is why she is posing next to a beautiful miniature painting by Henri Lobo. I had snagged it at a local miniature show last year. The details on this painting is so amazing; I wish I had gotten another one. I'm sure Poppy would agree! 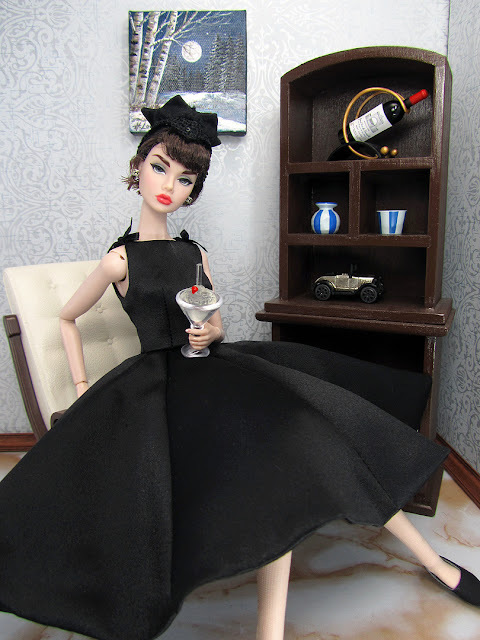 The Integrity girls look amazing in your photographs and Poppy Parker is no exception. It's good to hear that the quality and likenesses are so good - and that you are really enjoying your Christmas in July. Hello from Spain: congratulations for having Sabrina. She is a beautiful doll. She is one of my favorites. Her dress is gorgeous. I like a lot of the furniture that you created in this scene. Awesome. Keep in touch.